VATICAN CITY (CNS) — As the discussion began at the world Synod of Bishops on the family, Pope Francis urged members not to act as if the only question that mattered was the pastoral care of divorced and civilly remarried Catholics, his spokesman said. 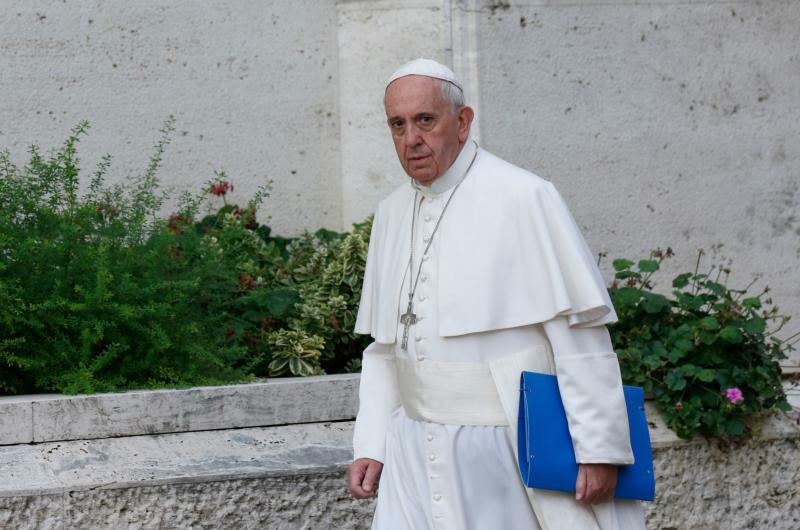 Pope Francis told the bishops that the only documents that are “official” for their work are the speeches he gave at the opening and closing of last year’s synod and the final report voted on by synod members in October 2014. The report, along with additions made based on responses to a questionnaire, is the working document for this year’s synod, Father Lombardi said. The pope also said, “We should not let ourselves be conditioned by or to reduce the horizons of our work as if the only problem were that of Communion for the divorced and remarried or not,” Father Lombardi said. The Vatican did not release the text of the pope’s remarks. Cardinal Erdo, archbishop of Esztergom-Budapest, Hungary, chosen by Pope Francis to introduce the synod’s work, had made it appear there was little support for or possibility that the church would adopt German Cardinal Walter Kasper’s proposal to design a “penitential path” that eventually would allow some divorced and civilly remarried Catholics to receive Communion even without an annulment and without a promise to abstain from sexual relations. “If everything was concluded with the report yesterday (by Cardinal Erdo), then what are we doing here?” Archbishop Celli asked. Canadian Archbishop Paul-Andre Durocher of Gatineau, Quebec, a synod member who also attended last year’s extraordinary synod on the family, said participants see a growing distance between modern cultural attitudes toward marriage and family life and what the church teaches and proposes. The challenge, Archbishop Durocher said, is to not lose the teaching while learning to enter into dialogue with the world as it is “in a way that will speak to the world and provoke its imagination and its interest. So some bishops will emphasize the teaching and some bishops will emphasize the dialogue,” which is the importance and beauty of the synod, he said. Cardinal Erdo’s presentation, he said, “is an important piece, but it is one piece” of finding a way to bring the good news about the family to the world. At the official media briefing for the synod, Father Lombardi and the others charged with summarizing the synod’s activity each day listed dozens of other topics raised by the first 72 synod members to speak: the challenges to families and the church posed by the “cultural revolution”; the need to be careful in using language that appears immediately judgmental; how to help all Catholics and families grow in the Christian life; war, anti-Christian persecution and migration; violence against women and children; polygamy; and the role of the family in the new evangelization.